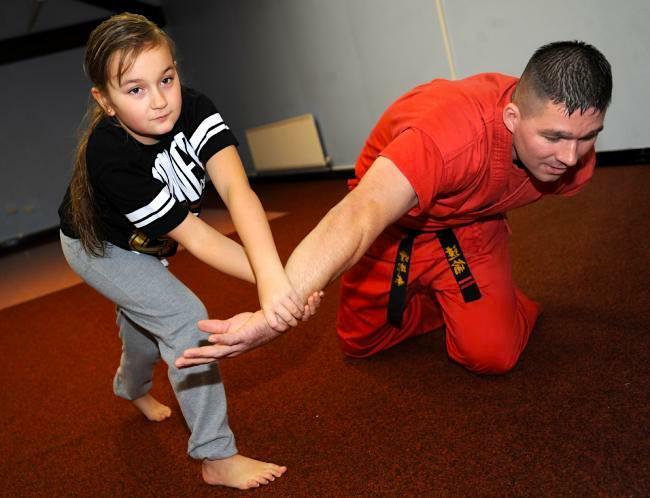 Self defense for kids is now more than ever, one of the most popular children’s activities. Self defense classes will not only give your kid an upper hand when it comes to defending themselves against bullies but will also learn a few valuable skills along the way. Picking the best class for your kids is an important step because not all classes are the same and neither are the benefits. You are faced with so many different options that might leave you confused. What style is the best? How much does it cost? Is your child too young? To put your mind at ease, today we discuss a few things to look out for when considering self defense for kids as well as the top three self defense techniques for your child. 1. Is The Content Age Appropriate? Look at the kind of content that each program is offering and ask yourself if it is appropriate for your kids. The age of your child is very important when you are choosing a self defense class. Some techniques are not age appropriate as they may be too tough and scary for the younger kids. Also, go for programs that offer holistic training. A class that teaches physical self defense moves only are not worth your money. Go for classes that delve deeper. A class that will teach your child self defense, crime prevention, respect, communication skills, socialisation, and more. 2. Is The Teacher Qualified and Well Equipped to Train Kids? Training an adult is very different from training a kid. It’s important that a trainer is aware of this fact and is qualified to deal with both kids and adults. Go for trainers that will not only train your kids well but will also be a positive influence on them. The trainer’s attitude is very important. Attend classes and watch the trainer in action. Does their personality and philosophy align with your morals and ideals? You want a trainer who will treat your kid with respect, will be firm and set boundaries for your child during classes. 3. What Are The Fitness Levels Available? Check what fitness levels are available for each class. You obviously want to enrol your child for an entry level class that is most suitable to their physical fitness. Older kids will be more physically fit than younger ones so don’t forget to keep this in mind. You want your child to join a class that they will be able to master the skills needed for the classes to be truly effective and worth your money. 4. What is The Quality of The Facilities? Visit a self defense facility before you enrol your child. Don’t pay online before you see how the training facilities really look like. Go for facilities that are clean and organized. Check the staff out too. If they don’t seem professional, their services will probably won’t be professional either. Inquire how they deal with emergencies just to be sure that your child’s safety is guaranteed should anything go wrong during training. 5. What is The Cost and Convenience? Cost is obviously one of the biggest factors that will help you settle for a particular class. You certainly don’t want to go with the cheapest and neither does expensive mean high quality. Check what the cost is inclusive of just to make sure there are no hidden or unnecessary charges. Now that you know what you need to consider when looking for self defense classes for kids, let’s take a look at the top three disciplines for your kids. When looking for kids’ self defense classes, Judo is one of the best options. The main focus of Judo is not on the size of the opponents but about using their weight and size against them. So no matter how big the attacker is, your child will never feel intimidated once they learn Judo. The Judo technique relies more on throws and grappling techniques than on striking the opponent. So no matter how small your kid is, they will be taught how to deflect bigger opponents with a lot of ease. Instead on focusing on counter attacking a bully for instance, your kid will be taught how to throw them off balance giving them time to get away. This is a less aggressive method of dealing with bullies. 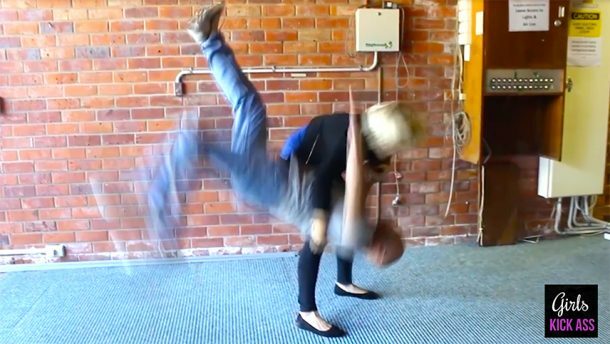 This popular self defense technique teaches practical moves that focus on function instead of form. Kids are taught how to avoid physical attacks between their peers as well as with adults. They are also taught how to protect themselves should such attacks happen. Krav Maga uses techniques such as slaps, punches, kicks, shirt grabbing, neck grabbing, choking, and throwing to the ground. When it comes to self defense classes for girls Brazilian Jiu-Jitsu is the best option because it does not focus on physical strength. Brazilian Jiu-Jitsu, just like Judo, is ideal for a smaller person defending themselves against a larger opponent. You want your kids to avoid confrontation at all costs, but still be able to defend themselves should an attack happen. Many times when kids fight, the defenseless one will be thrown onto the ground. In such a position, most kids won’t know how to protect themselves. Brazilian Jiu-Jitsu comes in handy in such a situation. This technique focuses on gaining a better position against an opponent. Your kid will be taught how to fight off an opponent when standing up or when on the ground. Now you know the factors to consider when choosing self defense classes for kids as well as the best techniques for your child. What are you waiting for? Enrol your kid for a class and let them learn the best self defense moves to help them stay safe! Would you like to take classes together with your child? Please get in touch with us, we run regular retreats for mothers & daughters!